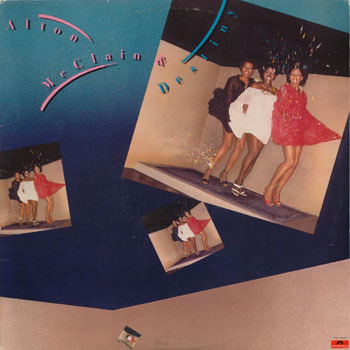 Alton McClain is an album by Alton McClain & Destiny released in 1979. Alton McClain and Destiny was an American disco girl group from Los Angeles, California. Formed in 1978, the trio was composed of McClain, Delores Marie “D’Marie” Warren, and Robyrda Stiger. They signed to Polydor Records in the year of their formation and Frank Wilson produced their debut set. It was released as a self-titled album early in 1979 but then was repackaged under the title It Must Be Love several months later. The title track was released as a single and charted, but the second album did not sell well. The group was dropped less than a year after its release and they split in 1981.